N o fewer than four glaciers of the Columbia Icefield can be seen at once from Icefields Parkway; and one of those glaciers is Stutfield Glacier in Jasper National Park. The view of Stutfield Glacier from Icefields Parkway is stunning; although you can park your vehicle and walk around to get different views. Due to the cragginess of the rock and the way the ice is precariously positioned on it, Stutfield Glacier is arguably the most picturesque of the glaciers of which to view in the Rocky Mountains of Canada. 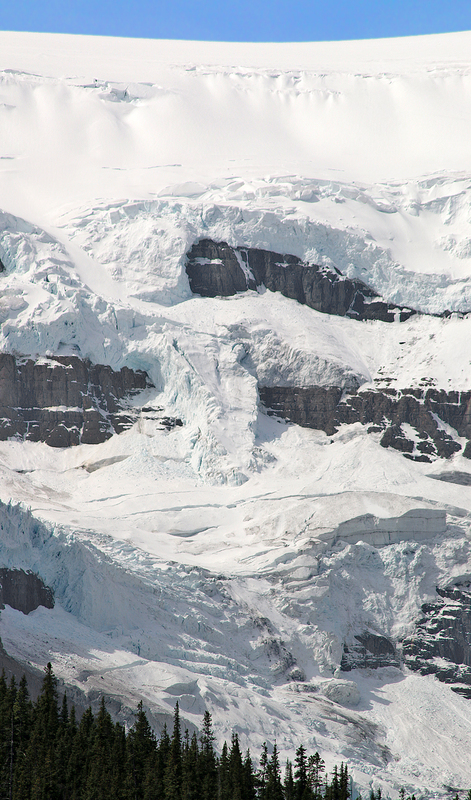 The glacier sports a set of double icefalls. Stutfield Glacier was named after Hugh Stutfield by John Norman Collie, who was a British scientist, mountaineer and explorer. 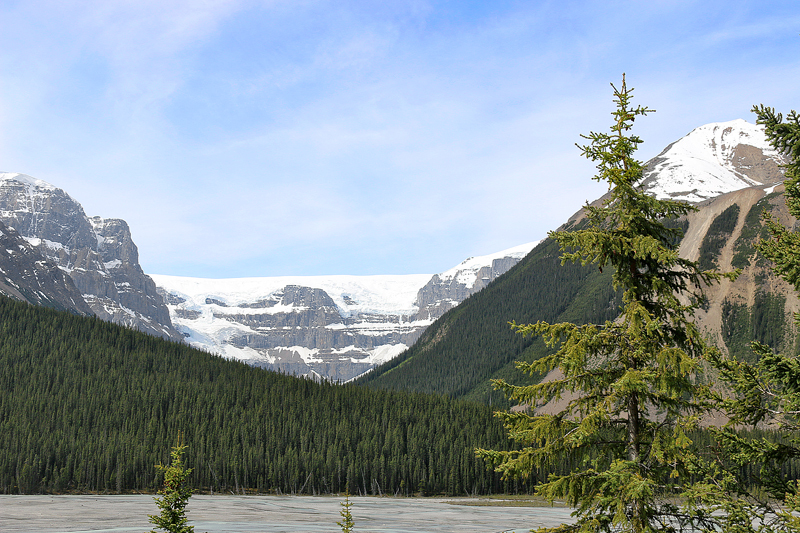 Located 135 kilometers northwest of Lake Louise and 95 kilometers southeast of Jasper, Stutfield Glacier is located near the border of Banff National Park. Stutfield Glacier stretches down 914 meters of the face of the cliff. The glacier flows southeast from Stutfield Peak. …and if you simply want to view the glaciers from a distance, you can spend as few as five minutes to admire them from your vehicle. Other than admission into Jasper National Park — which has been suspended for 2017 while Canada celebrates 150 years as a confederation — there is no admission fee to visit; and you can stay as long as you like. Nice photographs! Love to visit Columbia.